Land Acknowledgement: Why do we acknowledge Treaty land (and what is it)? Have you ever been at the opening ceremony for an event and heard the following? Welcome. I would like to take this opportunity to acknowledge the traditional territories of the Blackfoot and the people of the Treaty 7 region in Southern Alberta, which includes the Siksika, the Piikuni, the Kainai, the Tsuut’ina and the Stoney Nakoda First Nations, including Chiniki, Bearspaw, and Wesley First Nation. The City of Calgary is also home to the Métis Nation of Alberta, Region III. That was a land acknowledgement. The announcer likely goes on to mention other things and then you might forget all about what they said earlier. But when you arrive home later that night, it sticks with you – what are we acknowledging, and why? Making a statement like the one above is known as acknowledging traditional Indigenous territories, or land acknowledgement. By acknowledging the traditional territories of local Indigenous people (the First Nations, Métis, and Inuit) and their descendants, we are recognizing a few important things about Canada. Land acknowledgement is done for several reasons. We are all newcomers, whether our families have lived here for months or for a century. At some point, our families immigrated here and began new lives in a new land, Canada. 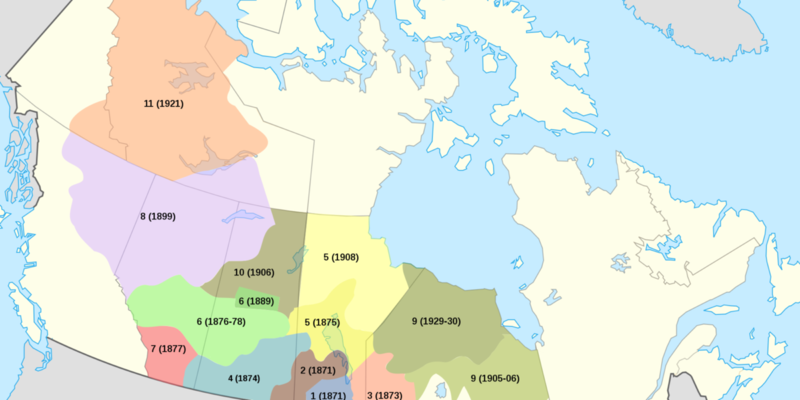 Did you know that Canada was already occupied by independently thriving Indigenous societies? In fact, the land around Calgary has been occupied by Indigenous people for over 10,000 years. With each wave of settlement, many Indigenous peoples were displaced from their traditional lands and ways of life. This consequently began a chain of atrocities, the effects of which persist until this day. As newcomers, we recognize the First Nations, Métis, and Inuit peoples of Canada as the traditional stewards of Canada. Additionally, we recognize their traditional ways of life and their ties to the land. We also recognize that we forcibly disrupted those ways of life to the benefit of our own. Continued hunting and trapping rights on traditional Indigenous territories. We recognize the continued right of Indigenous peoples to their traditional lands and their right to future prosperity. Why is land acknowledgement important? Making a land acknowledgment is a small but important first step in the reconciliation process between Canada’s Indigenous people and those who came later. As we move further into the 21st century and place so much emphasis on welcoming recent newcomers to our country, it’s more important than ever to look back and acknowledge the early atrocities that we committed against our nation’s original inhabitants. We cannot truly celebrate being Canadian until we recognize our history, including the shameful parts we might rather forget. Remembering to acknowledge the inhabitants whose land we’ve built our lives on is but one small thing we can do to reconcile an ugly past with a hopeful future.